Update: Yesterday we and millions of others scratched our heads over the idea of Jennifer Garner starring as Agatha Christie's spinster sleuth, Miss Marple. The company that holds the rights to Christie's work, Chorion, appear to have been so put off by the idea, they've stepped up to declare Disney's deal with Garner as not yet finished. We'll see how this thing turns out, though we're guessing gthat money will assuage any reservations certain parties may have about a younger, sexier Marple. Miss Marple is about to get a lot younger and lot better looking. Jennifer Garner has signed on to star in and produce a reboot of Agatha Christie's Miss Marple, reports Deadline. Screenwriter Mark Frost ("The Fantastic Four" films) will be changing Christie's iconic sleuth from an elderly spinster (is there another kind?) into a 30-something sexpot. While we've found most of her movies choices questionable at best, she's done good work in films like "Juno" and "The Invention of Lying," but the idea of changing a character like Marple so dramatically gives pause. 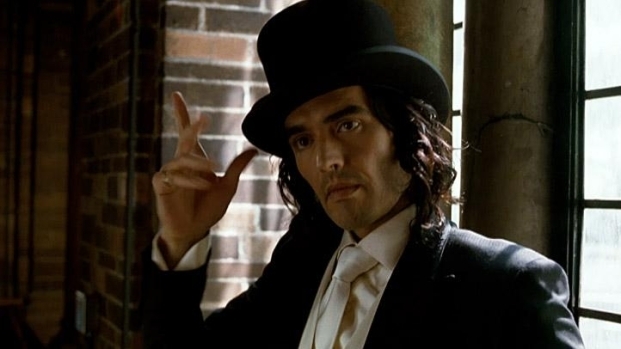 Russell Brand takes on the role that 30 years ago earned Dudley Moore an Oscar nomination, as a petulant, spoiled, overgrown rich kid who refuses to marry the woman his parents have chose. Co-starring Helen Mirren, Great Gerwig, Jennifer Garner and Luis Guzman, the film opens April 8. Christie wrote a dozen novels featuring Miss Marple, so there's plenty of stories for a franchise if this thing works, but we have our doubts--from here it looks like just another attempt to cash in on a brand name, with out retaining the essence of the source material. Part of what makes Miss Marple Miss Marple is that she's an old broad outwitting crooks. Making her so much younger totally changes the dynamics. You wouldn't reboot Columbo and make him a sharp-dressed man, would you? We'd be happy to watch Garner solve crimes, but not like this. In the meantime, she can be seen next week in Russell Brand's "Arthur," and later this year in "Butter," the most hotly anticipated competitive butter carving film of 2011.